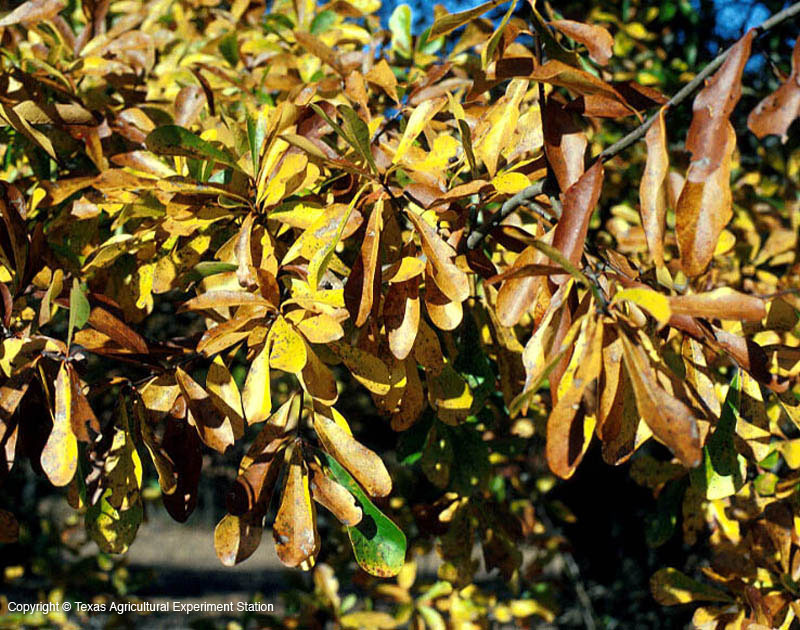 Water Oak is a medium to large tree found along stream banks, swamps and moist upland woods in east Texas. 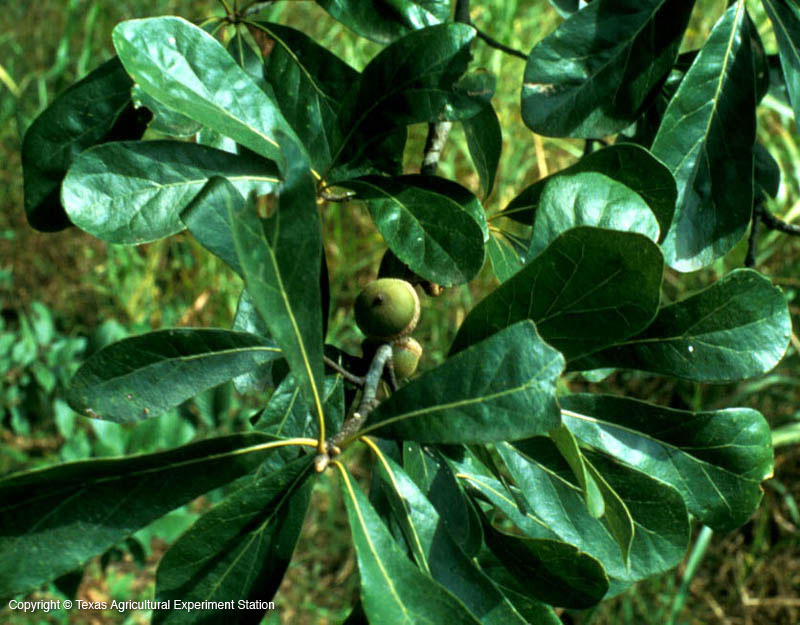 In its native habitats it grows in water-logged, oxygen-deficient soils that are neutral to acid. 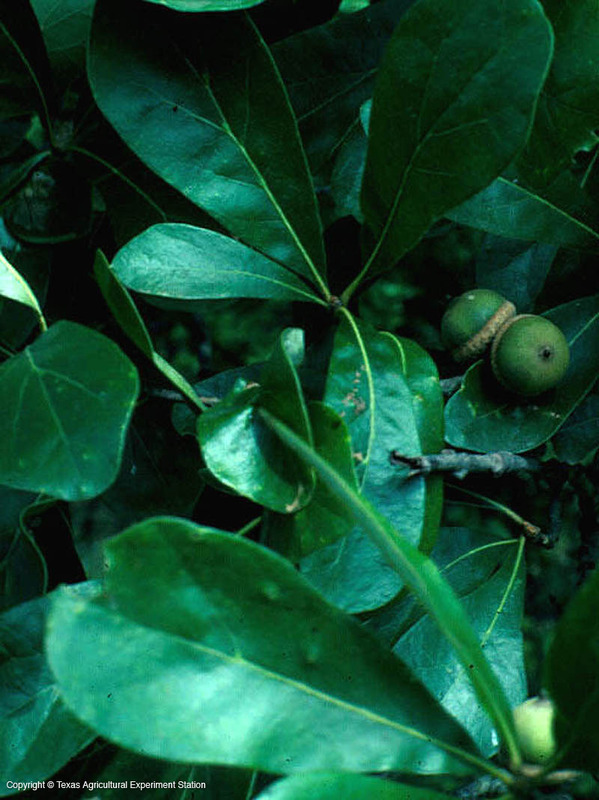 It transplants easily and is fast-growing, although the resulting wood can be weak and the form spindly. In areas where it grows more slowly the wood is stronger and the form more rounded. 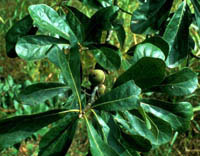 The leaves can vary in persistence from deciduous to almost totally evergreen. Height: 50 to 80 ft.